This is a 1942 ad for a Jaguar Cars! The size of the ad is approximately 4x5.5inches. 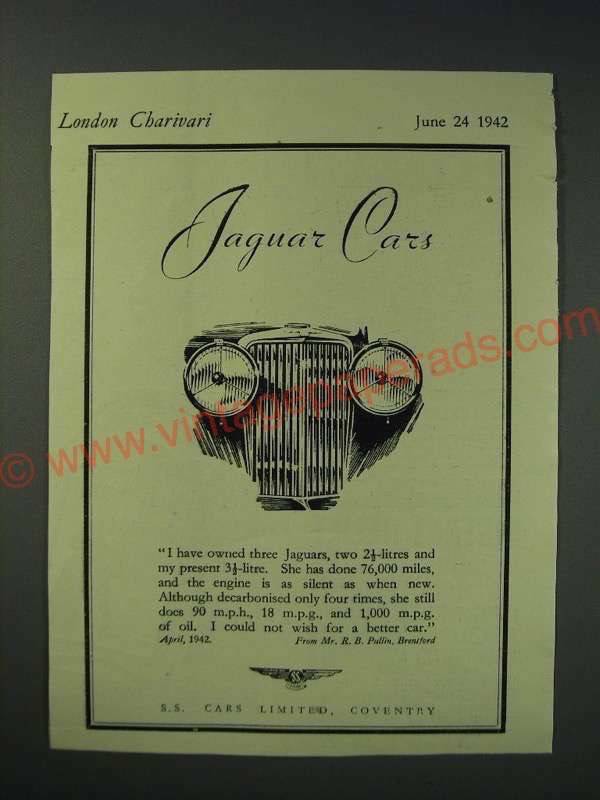 The caption for this ad is 'I have owned three Jaguars, two 2 1/2-litres and my present 3 1/2-litre' The ad is in good overall condition, with some light wear. This vintage ad would look great framed and displayed! Add it to your collection today! 1988 Jaguar XJ-S XJS Car Ad - Sleek and Sensuous! !